Is it hot in this coffin, or is it just you? Images of semi-naked women sell cars and newspapers, right? So why not coffins as well? That must have been the thinking behind Lindner’s advertising campaign, with – awesome – results. I love pin-ups for their innocent-but-naughty aesthetic, but until now didn’t realise what great pin-up photography really needs:blood and gore. Cassetteboy is back – woo yay! – this time editing the BNP leader’s recent BBC Question Time appearance. In the style of Autotune the News, this mashup sets Carl Sagan, Neil DeGrasse Tyson and others to music. Thanks Alex for the recommendation. Two things that are each totally unfunny, but just put them together! At least we can all agree severe internal injuries are funny. Creativity (and weirdness) can be found in the most unlikely places. An astounding infographic, showing space missions by target, country and whether the missions were successful. The bottom of the chart shows the most distant probes (the Voyagers and the Pioneers) and how far away they are (Voyager I is at ten billion miles). If you have a 4000 pixel monitor, this is what it’s for. 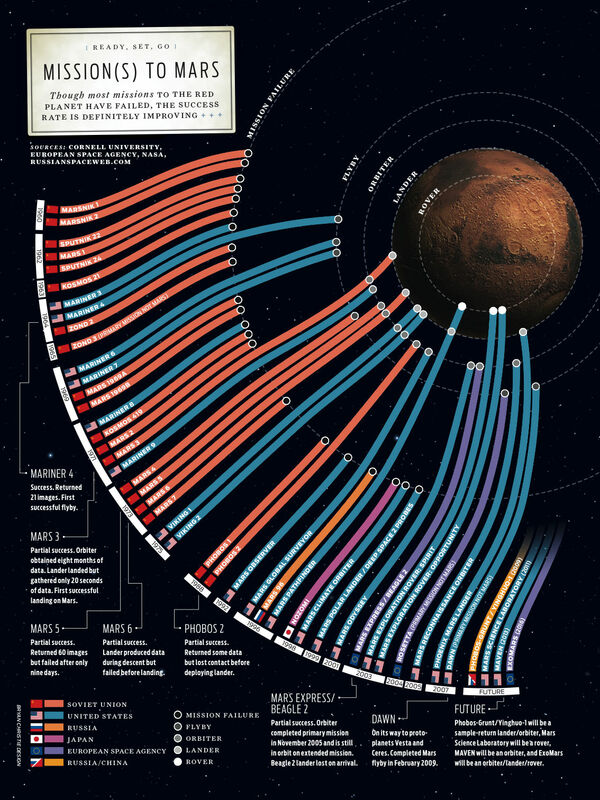 Update: To go along with it, All the Mars missions in one infographic. We don’t normally advertise products here on KDnC, but when I saw the trouble this poor woman was having, I was glad there is now a convenient solution.